RTE’s Nationwide dropped in to the shop during the 2011 Dingle Food & Wine Festival to see the huge contribution made by local suppliers towards the success of the event. Enjoy the show! 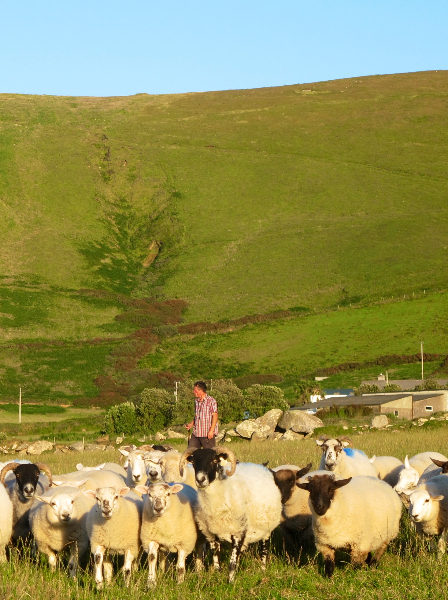 Up the hill, butcher Jerry Kennedy is the man to talk to if you’re hoping to nab some Blasket Island lamb. You’ll be lucky, though, because the dark, herby meat disappears out of his shop as quick as you can say “Baa”. If you miss out, console yourself with some of his sublime rosemary and thyme sausages. 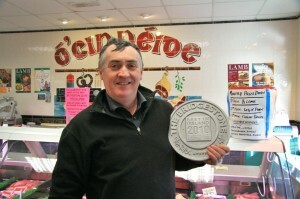 Jerry Kennedy runs an excellent butcher’s shop. It’s a tradition in his family. His father was a butcher and Jerry is merely the latest in a long line of butchers in the Kennedy clan. 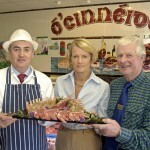 He learned his trade in McAlister’s of Moore Street in Dublin and is a member of the Craft Butchers Association. He also earned a diploma in meat technology from the College of Marketing and Design in Dublin. In 1999, he set up his own business in Orchard Lane in Dingle. From here, he sells the finest quality meats to the locals as well as to the town’s retail and catering trades. Jerry deals exclusively with farmers he can trust. Therefore, he can promise his customers full traceability from the farmyard to the fork. The flavour of his meat is testimony to this. 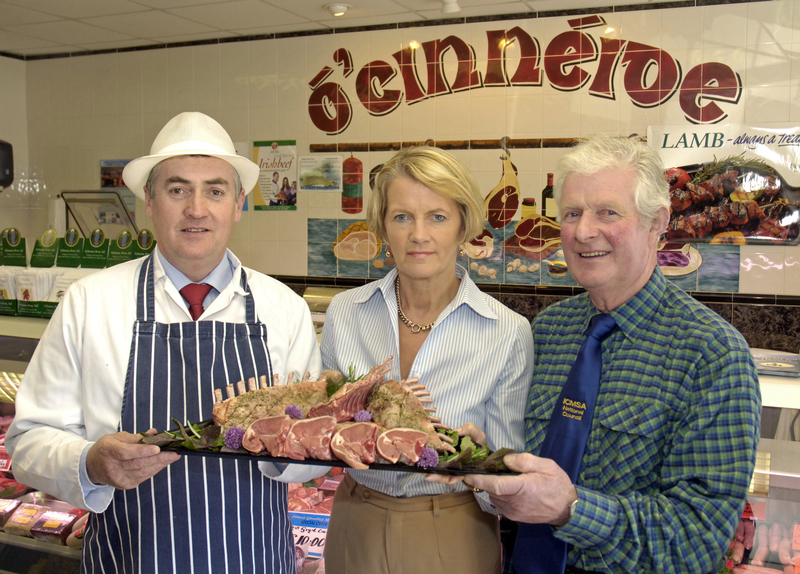 Kennedy’s Butchers is well known for its homemade sausages, its excellent beef and lamb (all of which are sourced on the Dingle Peninsula) but most especially its Blasket Island lamb. 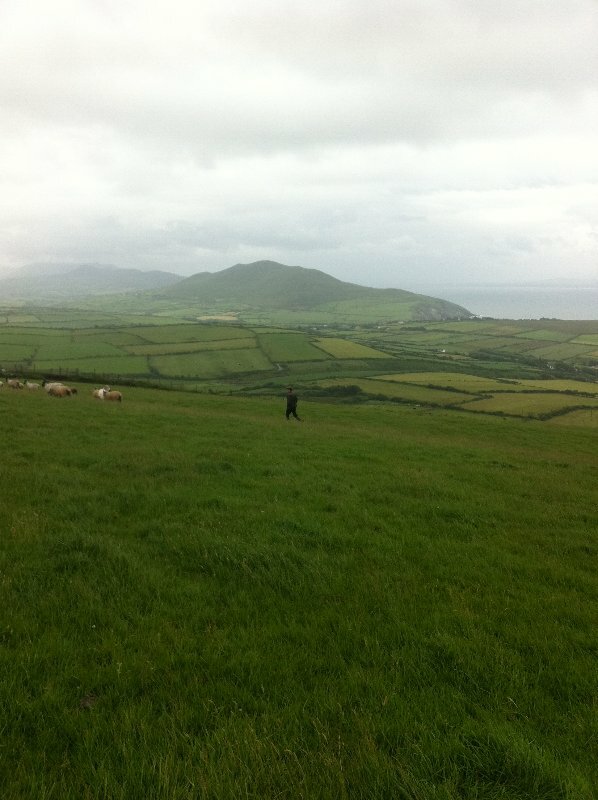 Donnacha Ó Céileachair from Dún Chaoin is the herdsman on the Blasket Island. It is his policy of raising lambs naturally in the wild that produces such fine quality meat, meat that qualifies as one of Ireland’s greatest gastronomic treasures. 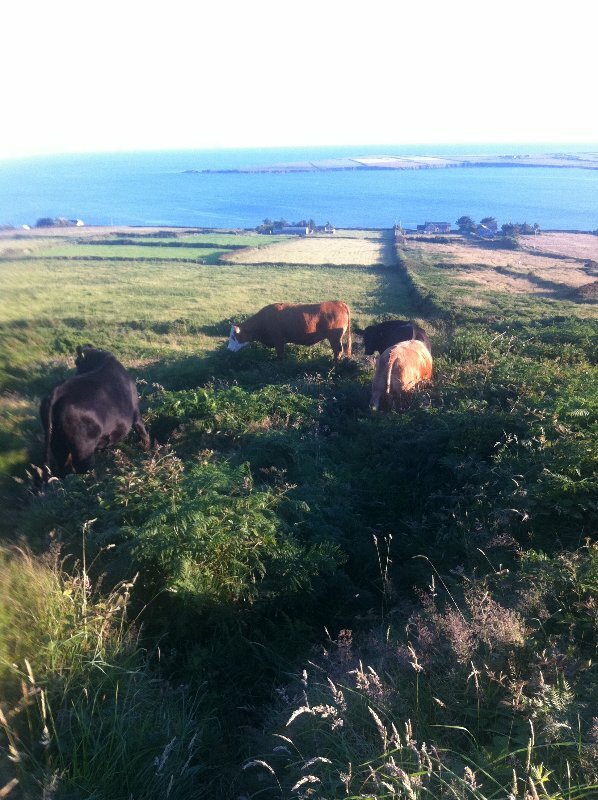 Donnacha’s lambs roam free, grazing on the diverse herbage of this sea-spray soaked island. It’s this diet of heather, herbs and grasses, combined with natural methods of production that account for the lamb’s unique flavour. Everyone should try Blasket Island lamb at least once. However, it is a rare treat. The natural production methods, the opposite of intensive rearing, mean that its supply is limited. 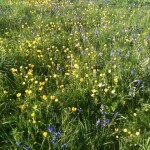 The supply is also seasonal. The lamb is only available from July to the end of October. 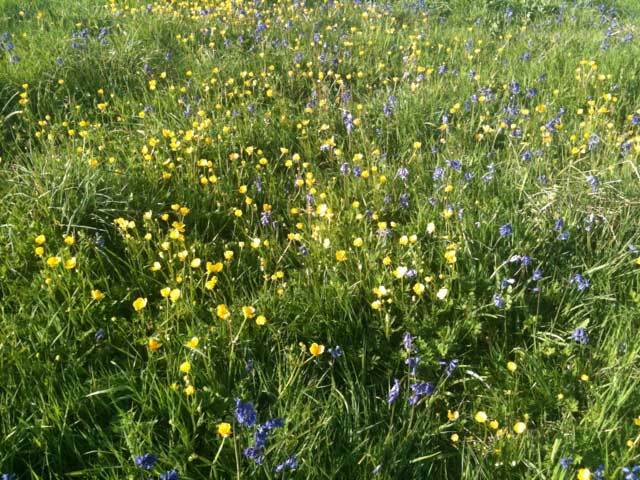 And, as with everything to do with the Blasket Islands, such supply depends on the weather. All of which means that when you do get to try Blasket Island lamb, as supplied by Jerry Kennedy, you should savour every delicious mouthful. Prices for Blasket Island Lamb vary with the season, but Jerry Kennedy does not charge any more or less than regular lamb because he believes it is a product to be enjoyed by all and should not carry a special price. I circumnavigated a gloriously sunny Dingle peninsula, looking for the boat that would take me over to the ancient rock of the Great Blasket Island. Since 1953, the island has been barren save for some ruins, a varied flora and fauna, and numerous sheep, although its legacy of literature and its remote and tranquil setting, guarantees it a steady stream of visitors. I was spellbound by this isolated, craggy lump, that had spawned so many writers and storytellers, and was now willing me to come over. It was a hot, clear day like few in Ireland. The trip across on the Peig Sayers ferry was thrilling, the backdrop of the Kerry mainland sheer, and the anticipation of setting foot on the most westerly point in Europe at once overwhelming and becalming. I leave to greater writers than myself to describe the magnificence of the maritime wilderness; my job was to find out about the aforementioned sheep, the Blasket Island lamb. Shortly after arriving on the deserted island, I found myself in the company of two men, Donncha and Seamas – real men, surrounded by their four dogs, great staffs in hand, tending their sheep with care as they do year after year. For a brief moment, I felt that a city slicker like myself could be persuaded to give it all up and join them, free on the slopes of the Great Blasket, two thousand years old, unflinching in the briny breeze, living of the fruit of my labours. Then I remembered, of course, that these were real men and I wasn’t, and the moment was gone. Donncha Ó Ceileachar explained to me that storytelling, place names and traditional songs show that the Blasket lamb has surely been reared on the island for a very long time. In addition, the island’s famous writings of the twentieth century not only mentioned the importance of lambing to the economy of the island but referred to the demand among the butchers of Dingle for this most succulent of lamb. When the islanders abandoned the Great Blasket in the fifties and sixties, the lambing more or less ceased, however. When sheep-farming began again once more on the island in the eighties, it was initially the abattoirs that took the lambs in, though they made no distinction between the meat from the islands and meat from anywhere else. Fortunately, a change occurred in the nineties, when it became clear that people were beginning to show more interest in the foods they eat and how those products came to be. 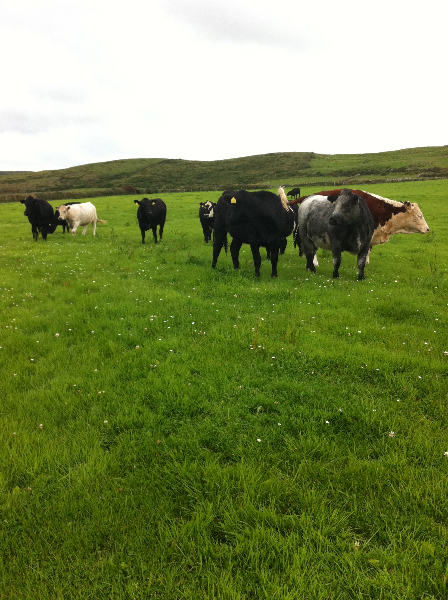 In particular, organic methods were in vogue; subsequently, demand for organic meats and specifically Blasket Island lamb, increased.